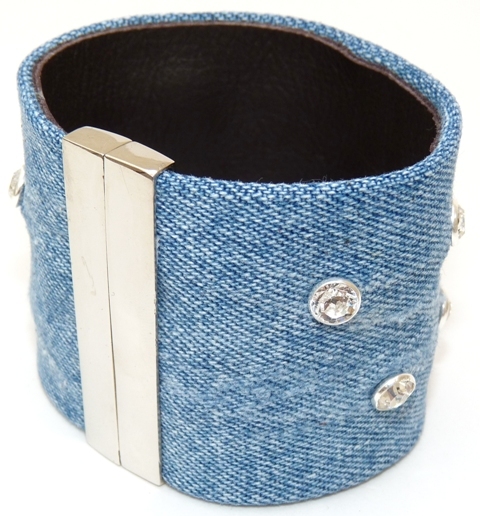 BLUE JEAN CUFF WITH SILVER ROUND CRYSTAL STUDS AND MAGNETIC CLOSURE. **THIS ITEM IS NOW 50% OFF. ORIGINAL PRICE WAS $185.